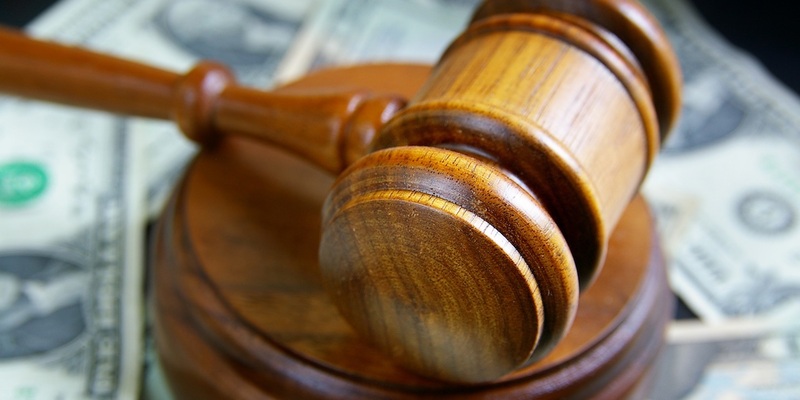 A St. Clair County jury awarded a man $2,605.44 in an arbitration case alleging various counts of damage, theft and failure to pay. The one-day trial began April 27 in Associate Judge Heinz Rudolf's courtroom. Plaintiff Robert Phillips was represented in the case by W. Jason Rankin and Jason D. Johnson of HeplerBroom in Edwardsville. Defendant Brenden Picou was represented in the case by Laura Beasley of Joley, Oliver & Beasley PC in Belleville. Phillips filed his lawsuit against Picou on Nov. 8, 2013, arguing that he lent the defendant his 2003 Ford F-150 truck and 2006 Ford Escape in the summer of 2013. Picou allegedly damaged the vehicles, requiring $649.69 in repairs for the truck and $950 in repairs for the Ford Escape. Phillips also alleged Picou committed a burglary in his home that same summer. He claimed Picou stole various types of computer equipment and later returned them in a damaged stated, exceeding $1,500 in damages. He claimed Picou also stole, but never returned, jewelry, rings and bracelets valued at $3,100; an iPod valued at $260; and a saxophone worth $1,100. Phillips further argued that Picou borrowed a gas card, agreeing to pay the plaintiff back the value of the purchase on the card. Phillips alleged Picou made $1,160 in purchases on the card and refuses to pay him back for the charges. Lastly, Phillips alleged he co-signed on an $11,000 Harley Davidson motorcycle loan for Picou. The plaintiff claimed he had to make regular payments on the bike loan totaling $819.92 when the defendant failed to make payments. Phillips claimed the motorcycle was later sold for $8,375, meaning he lost $1,785 on the transaction. Phillips also sought $10,000 in punitive damages for the burglary, arguing that Picou committed the thefts intentionally and knowingly. Then on Dec. 10, 2013, Rudolf granted default judgment in favor of Phillips, awarding him $20,070.91. On April 17, 2014, Phillips filed a petition to vacate default judgment, stating that he learned the default judgment may not have complied with the Servicemembers Civil Relief Act. The Act provides protection from default judgment for defendants in military service and requires the plaintiff to file an affidavit with the court indicating whether the defendant is in military service before a judgment is entered. If the defendant is in the military, the court may not enter a judgment against the defendant until after the court appoints an attorney to represent the defendant. Phillips alleged he learned Picou was in the military at the time the default judgment was entered against him. Rudolf granted Phillips’ motion to vacate default judgment on July 17, 2014. Then on Dec. 30, 2014, Rudolf filed an order dismissing the case for failure to prosecute. On Jan. 28, 2015, Phillips filed a motion to vacate the order dismissing the complaint. He argued that he does want to prosecute his case against Picou, but can’t until an attorney is appointed for the defendant. “The dismissal appears to be the result of a miscommunication and does not accurately reflect that Plaintiff does desire to prosecute his case against the Defendant,” the motion stated. Rudolf granted Phillips’ motion to vacate the order of dismissal on March 5, 2015. He tentatively appointed Dan Grueninger of Belleville as attorney for Picou. Grueninger agreed to serve as the defendant’s counsel and Phillips paid him a $500 fee for the appointment on Oct. 14, 2015. On Dec. 15, 2015, the court ordered Picou to pay his answer fee and file an appearance within 30 days. On April 1, 2016, Phillips filed another motion for entry of default judgment against Picou, arguing that he failed to file an appearance in the case. “Because Plaintiff and the Court have now fully complied with the Servicemembers Civil Relief Act, and Defendant has still chosen not to appear and defend himself in this action, Plaintiff is entitled to default judgment against Defendant,” the motion stated. Rudolf denied the motion for default judgment on May 5, 2016, stating that Picou filed his appearance and filing fee. On June 16, 2016, Picou filed a notice of compliance with SCRA, indicating that all requirements of the Servicemembers Civil Relief Act were followed and that no stay was warranted. The court ordered him to file a response within 30 days. Phillips filed a renewed motion for default judgment on Aug. 16, 2016, arguing that Picou failed to file a response to the suit. Rudolf again denied the request on Sept. 15, 2016, after Picou was granted leave to file an answer. Picou filed a motion to dismiss the complaint on Sept. 22, 2016. He vaguely argued that the complaint failed to state a cause of action by failing to allege specific facts. He also argued that count II made allegations in paragraph one and then paragraph three, skipping paragraph two. The defendant further argued that the plaintiff failed to provide specific facts establishing St. Clair County as the proper venue and failed to determine whether punitive damages should be allowed against him. Rudolf denied Picou’s motion on Sept. 30, 2016. Picou answered the complaint on Oct. 3, 2016, denying the arguments and argued that the alleged injuries were caused by third parties. Picou also argued that the plaintiff should have taken action to minimize or eliminate damages, precluding him from recovering damages by operation of the doctrine of avoidable consequences. On Oct. 17, 2016, the arbitration found against Phillips and in favor of Picou for count I and in favor of Phillips for counts II and III. The plaintiff was assessed an award of $1,300 for count I and $2,620 for count II. Phillips rejected the award on Nov. 7, 2016. Joley, Nussbaumer, Oliver & Beasley, P.C.